The Woman In Me is hosting a fab giveaway sponsored by DualShine Jewelry which will run from May 15, 12:01 EST to June 15, 2013. This giveaway is open worldwide. DualShine.com is a China-based global online wholesaler and retailer that has been a worldwide business leader in selling the latest unique and fashion jewelry such as necklace, earring, ring, bracelet and some others since 2007. Their vision is to empower people worldwide in buying and selling jewelry online. Two winners will get the chance to pick 2 set of jewelries of their choice (please refer to the photo above). 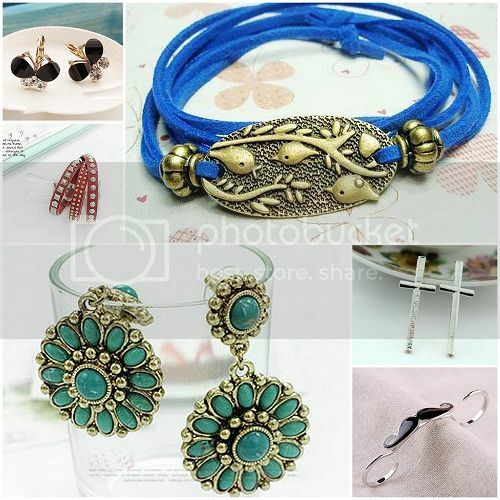 This giveaway is brought to you by DualShine - an online shop that specializes in retail and wholesale of fashion jewelries. Enter the rafflecopter below to join. Disclosure: MY JOURNEY is not associated with Facebook or Twitter. The products to be given away are sponsored by DualShine and they will be the one responsible for the shipment of prizes to the winners.